Machines and devices have developed the capability to learn and develop behaviours similar to the human cognitive ability of reasoning. It is thanks to the mathematical algorithms and databases of artificial intelligence. With that improvement, we find ourselves deeply involved with our smartphones and computers’ intelligent assistant. This assistant allows us to send messages, set reminders, operate several apps, place calls and more. Nowadays, the most popular ones are Alexa and Siri. But, which are their differences? Alexa is a voice-control system created by Amazon. It functions with an Echo smart speaker that receives, process and fulfil your orders. These orders have to be simple instructions related to electronic possibilities such as dim the lights or play music. 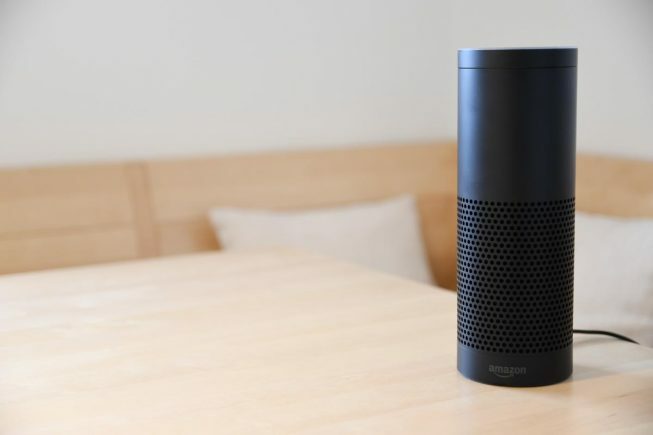 In order to activate the device, we have to say one of the triggers words such as ‘Alexa’, ‘Amazon’, ‘Echo’ or ‘Computer’. Including what you want to search or do, and it will usually help you or do as you command. Artificial intelligence makes it a device with natural-language processing system. Its makes it easy to interact with. You just have to talk and there is no need to touch any screen or device. One of the most important characteristics of smart devices is that they help you make daily tasks easier. If you have a to-do list, you can put a task as done just by saying it to Alexa. Also, you can ask her to remind you your task, so you can let your mobile in your pocket. Siri is a computer application created by Apple. Its Artificial Intelligence recognises the speech act, process the information that your voice gives to it and answer to you. We can find this personal assistant in some Apple smartphones and tablets. When you give it commands and ask questions, it will respond out loud. If you need to schedule an appointment with the doctor, you just have to tell Siri the day and hour. It can also read out loud messages, place calls, operate iTunes, etcetera. Siri is mostly used in Apple’s phones and tablets. It can dictate and translate your words to write both e-mail and text messages. It will notify you if there is any update in your Facebook or Twitter, among other apps. Apple has incorporated voice command support in the automotive area by applying an audio system for cars. This aspect will make the driving easier and less dangerous. Now you can keep in touch with your work and family without any problem. The Artificial Intelligence of both devices recognises your voice and several commands that they have already programmed. Therefore, they are able to respond and achieve your orders if they fit in their configuration. The main difference is that, while Alexa is more a home-assistant device, Siri does a job-assistant role. You can use Alexa with your voice without using your phone to make it work. This is what you usually have to do with Siri. Although you might need to configure the device to get a routine as ‘turn off the kitchen’, once you’ve done so, it will be very easy to give the order, while with Siri you mostly need the app. Furthermore, you can create a shopping list and add what you need as you remember it by voice. This characteristic is more complicated to do with your iPhone. It is difficult to choose one of the two intelligent assistants. The choice depends on the preference and needs of each person. What is clear is that Artificial Intelligence is making our lives easier and it help us to save time. Our Master in Artificial Intelligence will give you the opportunity to have access to this world and develop new technologies. Also, those technologies will save our time and help us with our daily tasks. Are you working and don’t have enough time to join us? Don’t worry! With the opportunity of doing it online, you can do your work and keep up with your family schedule while you study. With our flipped classroom program you can do it whenever and wherever you want! Become a professional now and get a better future with our master. What are you waiting for? Join us now!